My first blog post relating to a Fiduciary Standard that many of us had hoped would soon be enacted into law Why Should I Care if My Financial Advisor is a Fiduciary? was written in October, 2009. It’s now February, 2016 and we are still waiting for a Fiduciary Standard. Supposedly a proposal by the Department of Labor that especially pertains to new rules for financial advisors who deal with IRAs and other retirement plans is pending and will be signed by the President later this year. Call me skeptical as to both whether this will actually happen and, if it does, how much protection will really be afforded to investors. The financial services lobby is influential and well-funded. As an investor you should be outraged. Moreover, in my opinion, you should not have to settle for financial advice that involves selling you financial products that are merely suitable for you. So what’s the problem? The rule says nothing about the financial advisor putting the interests of the client above their own. In fact a registered rep with a broker-dealer owes their first loyalty to the B-D firm. There is nothing to say the rep should put a client in the best financial product available, just simply a financial product that is suitable for their needs. As an example, a rep for a given broker-dealer might push a variable annuity product offered by their employer instead of a lower cost VA offered by another firm like Vanguard that might be a better fit for their client. Among the reasons for this is the fact that there is no way for the rep to be paid for selling the lower cost product. Why is it taking so long to adopt a fiduciary standard? In my opinion this has not happened because the major financial services firms don’t want it to happen. They have deep pockets and have spent a lot to lobby against doing the right thing for you, the investing public. Some of the major brokerage firms have said that they will not be able to serve investors with smaller account balances if they have to adhere to a Fiduciary Standard. Are they serious? And if they are is this a bad thing for those investors? Are these firms and their registered reps really doing smaller investors a favor by putting them in high cost, poor performing financial products that often enrich the advisor far more than the client? Don’t you deserve a financial advisor who puts your interests first? Why work with a financial advisor who is a fiduciary? Don’t you deserve an advisor who puts your interests first? Aren’t you entitled to advice that isn’t tied to the sale of financial products? NAPFA has published this guide to selecting a financial advisor. There is some great information here and I encourage you to use this as you choose the right financial advisor for your unique situation. Don’t settle for suitable financial advice. 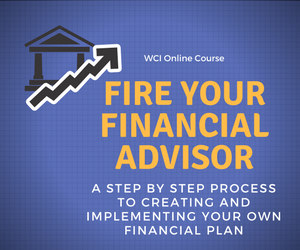 Insist on a financial advisor who puts your needs first and provides advice based only on helping you to reach your financial goals. The issue of who is and who isn’t a Fiduciary has been in the news a lot this year. The recently passed Dodd-Frank law requires the SEC to deliver a study about differences in the oversight of Registered Investment Advisors and Broker-Dealers to Congress in January. After that the SEC will be charged with developing rules that govern the standard of care due to individual investors. I’ve shared my thoughts about the Fiduciary Standard frequently on Twitter, LinkedIn, and in this prior post. When all is said and done, however, I think the issue is a simple one. Whether an investor engages the services of a Registered Investment Advisor (RIA), a representative of a Broker-Dealer, an insurance agent, or anyone holding themselves out as a provider of financial advice, individual investors should have the expectation that this person is acting in their best interests. Simplistic, yes. Common sense, I sure hope so. Many brokers and insurance companies have argued that instituting this type of standard would be too costly and they might be unable to serve many smaller investors. Please, give me a break. Are these companies admitting that some of their representatives are selling products that are not in their client’s best interests? Will we get a uniform standard of care for all financial advisors serving individual investors? I’m skeptical, but hopeful we will at least see a vast improvement over the current suitability standard that most financial sales types are now held to. What do you think? Please feel free to add any comments or thoughts about this issue. What should you do if you are looking for a financial advisor? My very biased suggestion is to check out the NAPFA Find an Advisor link http://findanadvisor.napfa.org/Home.aspx. All of my fellow NAPFA members and I adhere to a Fiduciary Oath and we pledge to put our clients first.